US Green Party Presidential Candidate Dr. Jill Stein(L) embraces Cheri Honkala after announcing her as the Green Party vice-presidential choice during a press conference July 11, 2012, in Washington, DC. 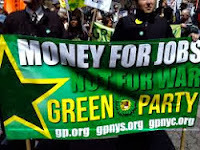 The Green Party will hold their national convention July 12-15, 2012, in Baltimore, Maryland. (CBS News) On the day before the Green Party's presidential nominating convention, presidential candidate Jill Stein revealed her running mate to CBS News exclusively: homeless activist Cheri Honkala. "She leads one of the country's largest multiracial, intergenerational movements led by people in poverty, fighting poverty, homelessness and foreclosures," Stein told CBS news. Honkala, a mother of two, and the national coordinator for the Poor People's Economic Human Rights Campaign, spent some of her days homeless. She ran for sheriff of Philadelphia on the Green Party line in 2011 and based her campaign on a platform of halting evictions. Stein, who defeated comedian Roseanne Barr for the Green Party's nod, will be officially nominated at the party's national convention in Baltimore, which begins Thursday. Stein, a physician, is from Massachusetts and has launched two unsuccessful bids for governor there, including against Mitt Romney in 2002. What do you think about the president's plan to extend the 2001 and 2003 tax cuts for those making less than $250,000 per year? Stein: That's a good thing. I think, well, partly a good thing. I think our tax structure is extremely unbalanced and our middle class and working families are generally overtaxed. If the president is set to reduce taxes below $250,000, that's good up to a point but there's so much more that can be done. If we really want to correct the severe inequities in the tax structure, we need to tax capital gains as income, we need to put a tax on Wall Street transactions not only to generate hundreds of billions of dollars, but also to reduce the speculation that has been so reckless and harmful to our economy. As a physician, what is your response to the Supreme Court's decision to uphold the president's health care bill? Stein: It's very problematic. I think the Supreme Court's decision destroys the most useful part of the Affordable Care Act (ACA) - that is the Medicaid extension. We have a track record here. We don't have to just guess what he impact of the ACA will be. We already have it in Massachusetts, where I live. We've already had it for five years. It has not been a solution. The cost of health care continues to skyrocket. On the other hand we have a real track record of what does work. It's called national health insurance, Medicare for all. We actually achieve health and we do it in a way that provides health care to everyone at less than half the cost per person. We know that under Medicare for all, we would be saving trillions of dollars over the next decade because it eliminates the wasteful health insurance bureaucracy and it stabilizes medical inflation. This is the way to go. You have a "Green New Deal" to employ "every American willing and able to work." Is this your economic plan? And how do you plan to do it? Stein: By using our tax dollars instead of to provide a stimulus package that's predominately tax breaks for corporations, instead we use a comparable amount of money and put it into the direct creation of jobs. And again, this is not a hypothetical idea. It's based on a plan that helped markedly to get us out of the Great Depression of the 1930s. This would not be a cookie cutter, top-down Washington-controlled program. Rather it would be nationally funded but locally controlled where by communities decide what kinds of jobs they need to become sustainable. It would create jobs in what we think of as the Green economy, but it would also create jobs meeting our social needs - hiring back teaches, nurses, after-school care [providers], violence prevention. You have a lot of proposals, including tuition-free education through college, Medicare for all, also known as Single Payer, how would you pay for it, since the country is already trillions in debt? Stein: You need money to jump start this but these are investments that pay for themselves many times over. You jump start it by stopping the bleeding. We are squandering trillions of dollars on wars for oil that we don't need and don't make us more secure, on Wall Street and tax breaks for the wealthy. To look at, for example, the military budget, it's costing us about a trillion dollars a year according to several different sources, so by reducing military to about the size it was in the early 2000s before it doubled under [President] Bush, we could free up hundreds of billions of dollars a year that could go a long way to pay for these costs. Add to that: Tax reforms that begin to ask the wealthy to contribute their fair share. Corporations used to contribute about 5 percent GDP, their contribution is now about 1 percent. And by ceasing to support bail outs for Wall Street, we can also free up a lot of money. When you actually sit down and you do the ledger, the money that can be saved by these boon dongles squandering money actually saves us money. Right now there is no exit strategy for the severe recession we are really in. Neither Romney nor Obama has the beginning of an idea of how we really fix this. All they are doing is talking about restoring it to the same old phony economy of high finance that has taken us over the edge to start with. We are talking about transforming our economy so it actually works for people, for our communities and for our environment. Comedian Roseanne Barr says she is still in the running, are you confident that you are the nominee and what do you think of Ms. Barr's candidacy? Stein: I'm confident we have the nomination. We have over two-thirds of the delegates being appropriated. I am quite confident we have the nomination. I think more celebrities should do what Roseanne is doing. This is a good thing for celebrities to not only sit back in the comfort of their second homes, of their third homes, and to actually put themselves out there in trying to create a better world. I wish other people of great stature and wealth would do the same. You launched two unsuccessful bids for the Massachusetts governor, including against Mitt Romney in 2002. Why the presidency? Stein: Success is in the mind of the beholder. One way to measure success is winning the office. Another way to measure success is changing the dialogue. Right now we have a dialogue that is horribly misguided, a dialogue that is not only boring but attention repelling, to use the words of the New York Times to describe the Romney campaign. This race is not only about me. This race is about the American people, and the American people have indicated clearly over and over that they are not happy - not with the president, not with Congress, not with the Supreme Court, not with their jobs, not with their declining wages, not with the skyrocketing cost of health care and education and these endless wars for oil. Right now the American people have not been given a lot of choices. 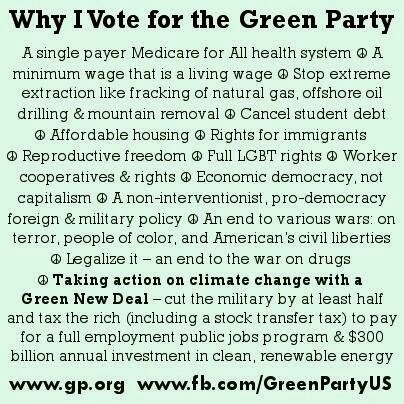 Why does the Green Party focus on national elections, such as the presidency, which has to be rebuilt every four years? 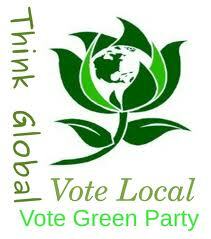 Why not start to build a strong coalition at the local or state level? Stein: It's very important in our view to do both. When you do have real social progress you have both a social movement on the ground and you have an independent political party to help articulate that social movement. As Fredrick Douglas famously said, 'Power concedes nothing without a demand - it never has, it never will.' Our goal is to drive those demands forward into the broader political dialogue and thereby help leverage and strengthen that social movement. Here in my state of Massachusetts, we have essentially used this model to build an opposition party. It's true we did not win the office but we sure shook things up. The ideas I was bringing into the elections really started to move things in a way that the establishment politics got pretty nervous about it. We think that's a good thing.